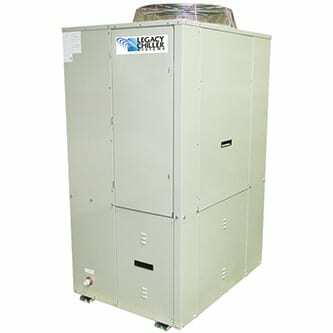 Air-Cooled Process Chillers | Legacy Chiller Systems, Inc.
Air-Cooled Chiller with Integrated Plastic (Open) Thermal Storage Tank. Air-Cooled Chiller with Integrated (Closed) SS Thermal Storage Tank. Air-cooled fluid process chillers by far are the most common applications for process duty service. These chillers remove heat from your process and reject that heat to the outdoor air. Air-cooled process chillers tend to be easier and less expensive to service, cost less than water-cooled process chillers and offer a wide variety of options (such as economizers), providing excellent design flexibility. Package Chiller System: This term highlights that all of the chillers internal components are located inside a single unitary cabinet. By far, package chillers are the most common as they are both cost effective and easy to install. 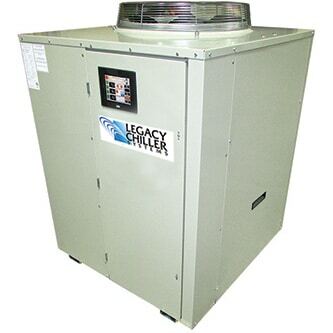 Legacy manufactures several different product lines in the Package Air-cooled configuration. These are the PZA, PZAT, PZAPT and PSA product lines. Split Chiller System: Some commercial industrial sites have unique requirements for space and weight distribution that require an Air-cooled process chiller system to be “Split” into two sections. This means the chiller unit, that houses the majority of the chillers internal refrigeration and fluid components, resides inside the building with the chillers Air-cooled condenser housing the coils and fans being located outside. Between these two boxes, refrigerant and electrical lines will need to be field installed. Although split chiller systems tend to be more expensive to install and maintain, they do provide added flexibility for design and field installation. 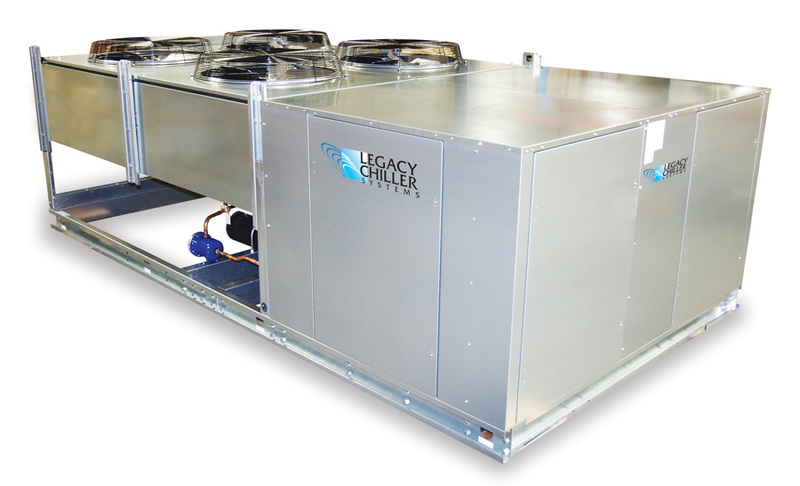 Legacy manufactures several different product lines of process chiller systems in the Split Air-cooled configuration. These are the IEZA, IEZAT, and IESA product lines. 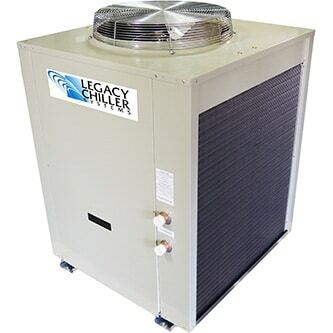 Should your project require a split chiller system, contact the Legacy design center @ 877-988-5464 for assistance. If you happen to be new to process chillers, check out the Legacy’s Process Chiller Buyers Guide. This document is full of handy information as to what process chillers are, and what things you should look for in a chiller that should be of assistance should you be in a position to purchase a process chiller in the near future. We also recommend that you check out our Learn Process Chiller Basics page on this site. *Custom cabinet colors are available for Volume Accounts only. Find more about Legacy Authorized Resellers.